Led Down Lights are in the market to replace CFL Down light to save electrical charge. The light source of all the existing down lights is using Energy Saving Lamp (or called Compact fluorescent lamp) as the light source. The Led Down Lights we are introducing here use Led as the light source. The Led driver of Led Down lights is the external type. That mean the driver can be placeed aways from the Heat sink of the Led. 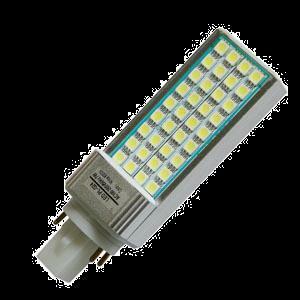 This will prolong the life span of the Led driver so as the Led down Lamp. One disadvantage on Led down light is if the Led light source not function you will need to change the whole Led down light and not like existing down light you can change the Energy Saving Lamp. But this probability is very slim. The Led down light design does not need to take care of changing the light source and it will be more robust and better out look. The out look of the Led down light look nicer than the existing down light and the look will last longer. It is due the heat generated by the Led is less than Energy Saving Lamp does. So as the surrounding look will maintain the same as it is. The electrical connecter that connected to line power will last due to lower heat and the wire can be thinner due to low current use by the Led. This might save on the used of the copper. Some of our Led down light. Tradition Down Light with CFL G24 lamp. * 8 PIECES OF 1Watts SMD high power LED chip. This is to achieve good heat dissipation as to extend life of the lamp as well as the LED light sources. * The driver of the lamp is the external Led driver. This is to prolong the life span of the driver. *INPUT VOLTAGE: 100VAC TO 240VAC. *WORKING TEMPERATURE: Less than 60 degree Celsius. *INSTALLATION HOLE SIZE: Diameter 155mm. *USE 21 PIECES OF 0.5W SMD LED light sources. *INSTALLATION HOLE SIZE: Diameter 160mm. YOUGUO LED DOWN LIGHT YG-CB003-24W Price: SGD200.00. *USE 21 PIECES OF 1W LED LIGHT SOURCE. 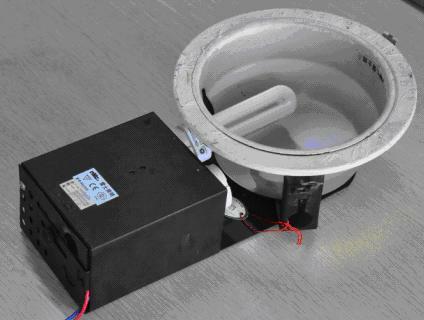 *Build with Aluminium base PCB and Aluminium housing to achieve good heat dissipation as to extend life of the lamp as well as the LED light sources. *TOTAL POWER : 24 WATTES. *LEN ANGLE : 120 degree. *INPUT VOLTAGE : 100VAC TO 240VAC. *OPERATING CURRENT : 210 mA. *THE LAMP SIZE : 178*75mm. *INSTALLATION HOLE SIZE: Diameter 145mm. Beside Led down light, there are Led Plug light that can direct replace the CFL G24 lamp. Led Plug Lights FXPLG24-7W Horizontal mounting. To direct replace the compact fluorescent Plug light in the existing down Light. Led : 36 pieces Led. Viewing Angle : 180 Degree. Life Span : Designed working life 20 000 Hours. Warranty : 2 years. The brightness of the FXPLG24-7W is comparetable to 18W CFL G24.